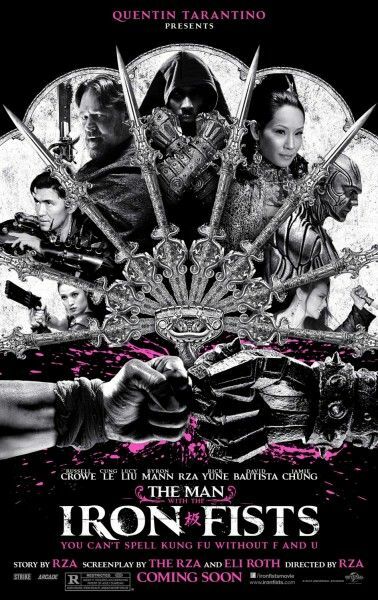 A new red-band trailer for RZA’s The Man with the Iron Fists has landed online. Though it’s not wildly different from the film’s first red-band trailer, this one does show a bit more of the supporting cast of characters and some other scenes of stylishly impressive violence. Most importantly, though, The Man with the Iron Fists still looks absolutely batshit crazy. The film was directed by RZA based on a script he wrote with Eli Roth, with Quentin Tarantino onboard as the film’s producer. The story takes place in feudal China and centers on a small village’s weapon-maker who must defend its peoples. Hit the jump to watch the new trailer. The film also stars Russell Crowe, Lucy Liu, Cung Le, Byron Mann, Rick Yune, David Bautista, Pam Grier and Jamie Chung. The Man with the Iron Fists opens on November 2nd.